The Latest News and Information about Floor Scales! 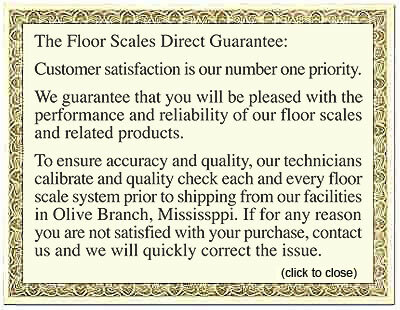 Our floor scales offer our customers the latest in weighing technology and data recording. In addition to bringing superior technology to our clients, we also strive to keep them informed about the latest developments in our field. The articles featured on this page feature the latest information on new types of heavy duty platform scales and axle scales. Find out more about the technology that you already own, or plan for your next purchase of floor scales with the concise information offered here!